This natural oral care brand’s unique products and clean ingredients are winning over customers and buyers alike. Kelly Kaplan and her partner were excited to take advantage of the growing demand for natural health and beauty products when they purchased The Natural Dentist brand in 2010. By tapping into the market of ingredient-conscious consumers, the brand has grown their product line to include creative and innovative oral care solutions that are winning over customers and buyers alike. Read on to hear this RangeMe Verified™ brand’s experience working with Target and landing 7 SKUs on Target.com through RangeMe. 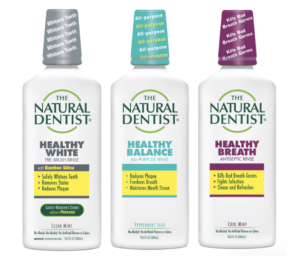 Kaplan and her partner ran another oral care brand together for several years, and when they saw that The Natural Dentist was for sale, they decided to make a big move and purchase it in 2010. “The time was right,” Kaplan says of the decision to purchase the brand. “We knew that the natural segment was growing, and savvy consumers were looking to avoid certain ingredients in their personal care products.” Since then, the demand for natural beauty and health products has only increased. The Natural Dentist’s unique products don’t just appeal to consumers—their offering also caught the eye of a Target buyer on RangeMe. She also notes that RangeMe gave The Natural Dentist exposure to buyers that they otherwise may not have had access to. “I wasn’t even aware — and neither was my sales team — that there was a new buyer at Target who we hadn’t dealt with before,” Kaplan explains. “This is just one example of what RangeMe has done for us.” With this online success under their belt, The Natural Dentist looks forward to growing its product line and scoring additional retailer placements. 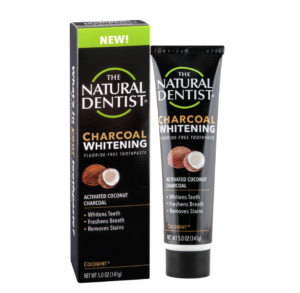 They are working on expanding the distribution of their charcoal toothpaste, and plan to come out with more flavors and formulas in the future.